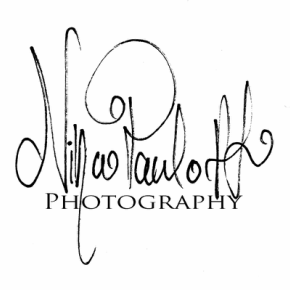 A creative internationally awarded professional photographer. Nominated Qualified European Photographer in Fine Art photography by Federation of European Photographers organization. Titles: Qualified European Photographer- Fine Art. QEP. Grants: 2017 Finnfoto- The Central Association of Finnish Photographic Organizations. 2015 Finnfoto- The Central Association of Finnish Photographic Organizations. Awards: 2017 Honorable Mention, Portrait - ND Neutral Density Awards. ​ 2017 Honorable Mention, Fine Art - ND Neutral Density Awards. 2016 Merit Award, Portrait - FEP European Professional Photographer of the Year. 2016 Merit Award, Fine Art - FEP European Professional Photographer of the Year. Exhibitions: 2019 Astral Venus - Spells 1-10, El Artsenal Gallery, Malaga, Andalucia, Spain. 2018 5th Dimension, Domus Romana Art Gallery, Rome, Italy. 2018 4th Dimension, GAC Art Gallery, Fuengirola, Andalucia, Spain. 2018 4th Dimension, Domus Romana Art Gallery, Rome, Italy. 2018 Astral Venus - Spells 1-4, GAC Art Gallery, Fuengirola, Andalucia, Spain. 2017 Astral Venus - Spells 1-4, GAC Art Gallery, Fuengirola, Andalucia, Spain. 2017 Astral Venus - Abstraccion, Art Gallery Costa Del Sol, Mijas, Andalucia, Spain. 2016 Masquerade, Regional Library of Uusimaa, Porvoo, Finland. 2016 Occultum, Regional Library of Uusimaa, Porvoo, Finland. 2016 Masquerade, S-Gallery, Helsinki, Finland. 2016 Occultum, S-Gallery, Helsinki, Finland. 2016 Masquerade, BackasBar, Helsinki, Finland. 2016 Occultum, BackasBar, Helsinki, Finland. Other: 2016 FEP Federation of European Photographers Cover Picture of the Year. 2016 FEP Federation of European Photographers Cover Picture of June. 2016 FEP Federation of European Photographers Cover Picture of July. 2016 Finnish Professional Photographers’ Association Cover Picture of June. 2016 Finnish Professional Photographers’ Association Cover Picture of July.